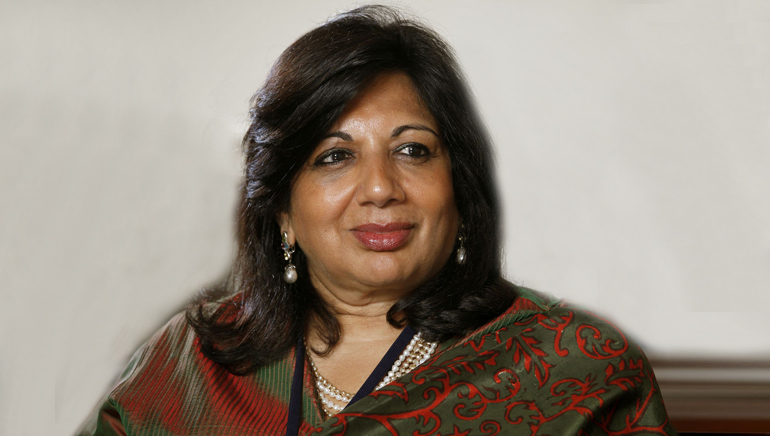 One of the most powerful women in the biotechnology segment, Kiran Mazumdar chose biotechnology as a career option, something unheard of at that time in India, without the necessary infrastructure. Her first employee was a person who was a garage mechanic earlier; her model of business was untested; she didn’t have financial backup; but she moved on and started Biocon India in the garage of a rented house in 1978 with an initial investment of Rs. 10,000. Today, Biocon is a multi-million dollar brand! Biocon India released its IPO in 2004, which was over-subscribed 33 times, instantly making Kiran India’s richest woman. With her husband, John Shaw being detected with renal cell carcinoma in 2007, she learnt how to help a family member cope with cancer. Understanding the expense of the disease and trying to make it more affordable for people across the nation, she joined hands with Devi Shetty of Narayana Hrudayalaya with a view to set up a hospital in Bangalore. She believes that once you have cancer, the fear never goes away but keeping up one’s spirit is crucial.